cleanse the body of infections. For the most part, early settlers had to self-treat their wounds using natural remedies to heal the infections and diseases that befell them. While some treatment methods could be considered acceptable by today’s standards, others such as purging the stomach, bleeding and the use of leeches might be considered irrational. The Seminoles used herbs and bleeding to cleanse their bodies in times of sickness. In the book The Lures of Manatee, by Lillie McDuffee, the Wyatt family discovered a band of Seminoles, Seminole Chief Billy Bowlegs among them. The group had been quarantined from the rest of their tribe and was conducting the bleeding method of cleansing. The first doctor to come to the area was Dr. John Oliver Brown who moved to Palmetto in 1893 at the age of 24 to practice medicine. Brown was particularly interested in typhoid and malaria (also referred to “Intermittent Fear”) fevers. At the time, most doctors believed that inhaling rotting vegetation caused malaria. However, Brown associated the disease with mosquitoes and ordered all open-water wells filled and all rainwater cisterns covered because he believed it would reduce the population. Brown served the community for 57 years, delivering 976 babies and traveling as many as 30 miles on horseback to tend to his patients. 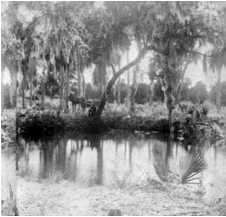 The Manatee Mineral Spring was thought to have healing powers. It was used by native Americans and settled by Manatee’s first white pioneer, Josiah Gates, in January 1842. It served Fort Branch when the early settlers camped nearby for protection from the Seminole raid of 1856. When a doctor wasn’t available, the women in the community served as healers. Pioneer housewives had access to medical books for guidance. Each family kept a garden near their home containing essential medicinal herbs. According to historian Adam Wescott, palmetto berries and pennyroyal tea were used for colds and flu, soda and ginger helped treated colic, lemon, honey and horehound were used for cough, cinnamon and nutmeg helped with diarrhea, willow bark reduced fever, oak bark tea or a drop of turpentine on a lump of sugar was used for worms, chewed tobacco poultice was applied to insect stings and kerosene or animal fat healed wounds. But people with more severe sicknesses or long term illnesses might seek out a more experienced “herb woman” or be taken to the doctor, which often meant traveling many miles to the next town or city. Northern doctors prescribed a trip to Florida for several diseases such as tuberculosis. That is how many of the area pioneers ended up in Manatee County. The fact that people came to Florida to better their health was also enticing to doctors. Dr. Franklin Branch, born in 1802 in Orwell, Vermont, moved to the Village of Manatee in October 1846 and purchased the land that included the Manatee Mineral Spring. Dr. Franklin Branch planned to begin a sanatorium, utilizing the springs’ healing powers to cure his patients. However, the sanatorium became a fortified encampment during the Third Seminole War and Branch’s plan never came to fruition. Branch planned to build a sanatorium and utilize the supposed healing properties of the mineral spring to treat his patients. The buildings he constructed were instead fortified with sable palm trunks for protection against the Seminoles. Instead of patients, residents of Manatee occupied the structures of what became known as “Fort Branch” for nine months, during the Third Seminole War. During that time, Branch delivered three babies and treated a variety of ailments. Following the death of his wife, he sold his property and moved his practice elsewhere. Dr. John S. Helms arrived in Palmetto in 1896. Immediately, he noticed many of the area’s children featured sallow complexions and behaved lethargically. He discovered they were suffering from hookworm, an often-fatal ailment that plagued many southern states. A simple step of better sanitation eradicated the parasite. Helms later opened a drugstore at Ninth Avenue and Fourth Street. The germ theory of disease did not become the basis of treatment until the late 1800s. One of the babies delivered at Fort Branch was Furman Charles Whitaker, the first native-born resident of Manatee County to become a doctor and practice in the area. Furman had injured his elbow as a boy, without the capability of doing physical labor, he was sent to Danville, Kentucky to study. 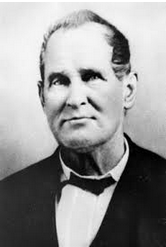 He returned in 1877, at the end of the Civil War. He established his medical practice first in Sarasota in 1896, then in Bradenton in 1898. 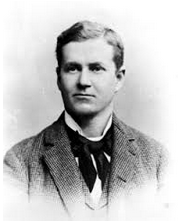 From 1906-1909 Furman practiced general medicine, then went to New York City for his specialty diploma. He was the first Eye, Ear and Nose specialist to practice in Manatee County, returning in 1911. Dr. Furman Whittaker became Manatee County’s first native-born doctor and Manatee County’s first eye, ears and throat specialist. Dr. Jack Halton was the first doctor to open a practice in Sarasota, 1904. Four years later, he opened the Halton Sanatorium. However, many historians believe it was his wife who was the real healer in the family. Back then, women could not earn their doctorate, but they could become midwives. Cornelia Ponder, of Punta Gorda, was one of the most well-known midwives in the region. Born in 1874 in Georgia, she received medical training was the only midwife to serve the Punta Gorda area during the turn of the century, delivering babies of all ethnicities although she was black. She delivered hundreds of babies in the region. Antibiotics weren’t invented until the 1930s. Today they are prescribed without a thought, but it wasn’t that long ago that simple herbal ingredients did the job. Morris Emory stands in front of the home on Harbor Boulevard in Port Charlotte where he prevented a burglary from occurring by holding the suspect at gunpoint until deputies could arrive early Friday morning. PORT CHARLOTTE — Some residents get welcomed to a new neighborhood with cookies or cake. Sometimes, it’s a simpler gesture, like a wave hello or a knock on the door and a friendly greeting. The first time Juan and Maria Martinez met their neighbor across the street, it was at 3:30 a .m. Friday, and he was holding a man at gunpoint in the middle of their driveway. The couple had lived at their home on Harbor Boulevard for only about two months before becoming a target of an alleged burglary. Alvin Anthony Jeanty, 37, of the 2100 block of Bragg Street, Port Charlotte, reportedly was burglarizing their van when he was caught by their neighbor, Morris Emory. Emory, 45, lives across the street and is a self-professed night owl. As a professional bounty hunter, Emory tends to keep strange hours, and said he often paces around his home in the middle of the night. Sometimes he goes outside to smoke a cigarette, even though he’s trying to quit. Emory was smoking in his garage around 3:15 a .m. Friday morning, he said, when he saw Jeanty trying vehicle doors to see if they were unlocked. When Jeanty got to the Martinez home, he was able to gain access to their van, Emory told authorities. Emory put out his cigarette and pulled his Glock .40 handgun from its holster. He told his roommate to call 911 and headed across the street. When Emory got to his neighbor’s driveway, he reportedly saw Jeanty’s leg sticking out of the van and a light moving around inside. Emory ordered him to ‘get out of the car and get on the ground,’ pointing the gun at Jeanty and holding him there until deputies arrived, he said. In his mind, it was the neighborly thing to do . When Juan walked outside and saw Emory pointing the Glock at Jeanty, it was the first time the neighbors had ever met. Deputies soon arrived and told Emory to put the gun back in his holster. As a bail bondsman, Emory said he has a ‘working relationship’ with the Sheriff’s Office. He doesn’t recommend that citizens without professional training hold suspects at gunpoint. Jeanty was arrested on charges of burglary, and loitering and prowling, and was taken to the Charlotte County Jail. He later bonded out. He could not be reached for comment Tuesday. As for Emory, Juan has a more traditional way of repaying his selfless deed. 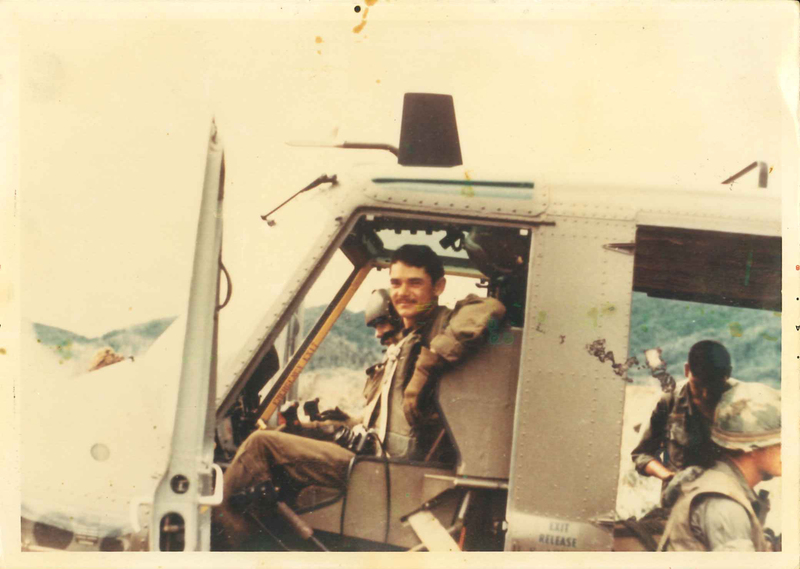 Chief Warrant Officer 2nd Class Ben Sutton was killed in a helicopter crash on Sept. 3, 1969. PALMETTO –As children, my brother and I loved to scan the lofty branches of our favorite tree in search of the rusty handle of a knife fused into the wood. The moss-covered live oak was in my grandmother’s yard. She enjoyed telling the story of how a neighborhood boy once brought the knife over to the house and waved it around the other children, pretending to stab them. My uncle Ben Sutton, or Scooper as everyone called him, seized the knife and then climbed the tree, driving the blade into the trunk with such force so he was sure it could never be removed. That was the kind of person Uncle Ben was. He was a sweet-natured child and a happy-go-lucky teenager, but he was also protective of his family and siblings. Born in 1946, Ben was a lifetime resident of Palmetto. He was the second of five children — four boys and a girl. He would delight his kid sister, Bonne’, by taking her around to local haunts, and he just brushed off any ragging from boys his own age. Ben liked to pack as many siblings and neighbors as he could fit in his 1959 Chevy to spend an evening watching movies at the old Palmetto Drive-in. He played varsity baseball and was in the band at Palmetto High School. The word was the girls considered Ben quite the heartthrob. Above all else, he was a friend to all. That’s what classmates who signed his PHS yearbook said — he was a great friend, one with whom they never wanted to lose touch with. Ben possessed the same Sutton traits that marked the rest of the family — dark curly hair, narrow, laughing eyes, a dimple-enhanced smile and a small, athletic build. He breezed through life with a carefree attitude that enabled him to laugh off criticism and exude confidence. When he was 12, Ben tried out for the high school football team (high school comprised of sixth through twelfth grades back then). When he was fitted for his uniform, the coaches found the smallest shoe was three sizes too big for his size-5 feet. A newspaper article labeled 77.5-pound Scooper as PHS’s smallest player ever. After one year of football, he decided baseball was his game. Ben rarely went straight home after school. Instead he would go to the A&W root beer stand, walk to the Boy’s Club or play in the park. He constantly left his trumpet here and there, such as on a park bench or at the soda counter. Usually someone would find the trumpet, knew it was Ben’s and bring it by the house. If he wasn’t forgetting something, he was daydreaming, once while riding his bicycle he ran into a parked car. Scooper practically lived at the park; it was just two blocks down from his home on Seventh Street West in Palmetto. My grandmother, Alice Sutton, would become irritated when she’d have to walk down the road after him when he was late for dinner. Ben was what many would call a “man’s man;” he liked sports and being outdoors. He started hunting and fishing early on, and he would often go camping with his buddies in Parrish for the weekend, usually bringing fish or small game home for supper. Ben’s younger brother Alan was too small for hunting, and his older brother Charles wasn’t the outdoors type, so Scooper would often bring Bonne’, four years his junior, along. They would meet friends at dusk and hike along the orange groves until they spotted quail or rabbits. My grandfather, Ben Sutton Sr., taught him how to make castnets and young Ben would frequently wade Terra Ceia Bay to catch mullet. After graduating PHS in 1964, Ben married his high-school sweetheart and became the father of a beautiful daughter, Michele. But things didn’t work out, and the marriage ended in divorce. As a married man, Ben had an exemption from military conscription. Now he was eligible for the Vietnam War draft. Ben moved to Alabama, wed another girl and started working for IBM. Nine months into the job, Uncle Sam came calling. Ben then faced with a tough decision. He could wait and take his chances in the draft or volunteer. Ben decided to enlist in the Army, which allowed him to pick a specialty of his choice — the Army flight-training program. In 1967, he left his new wife and went off to win his wings so he could command a helicopter in Vietnam. Two years later his wife, Harriet Jacks Sutton, received a dreaded visit from a military officer. Her husband, Chief Warrant Officer 2nd Class Ben Fredrick Sutton had been killed in action on Sept. 3, 1969, in a helicopter crash. At 23, he was already commander of his squadron. He was practicing maneuvers when the aircraft went down and burned. There was no way to tell what had gone wrong. Some of the men in his squadron believe it could have been sniper fire. Regardless of the circumstances, Palmetto lost a favorite son to the war. In 1982, the Palmetto Junior Women’s Club wanted to dedicate the west side of the park on Main Street to a local veteran, so it seemed fitting to select the boy who had spent so much time there — Ben Sutton Jr., the only person from Palmetto to die in Vietnam. Sutton Park is dedicated to the memory of all veterans from Palmetto who have served in battle, ranging from the Seminole Wars in the 1800s to today’s war in Afghanistan. My family will forever hold Ben’s memory in our hearts, and we appreciate that Sutton Park now will forever be a place of honor, a tribute to the little boy who grew into a man there. A few months ago the old live oak that withheld the knife fell down in my grandmother’s back yard. I hadn’t thought of the dagger until after the men came to chainsaw the tree to pieces. It saddened me to think I would never again get to locate the handle among the leaves. When I walked outside to mourn the loss of my favorite landmark, I saw the section of wood containing the familiar rusty handle. The workers had saved it for me, carefully setting it on the porch steps where I would easily see it. I guess they figured there was a good story behind it. Robert Fogarty was born Robert Guerro and adopted after his parents died of yellow fever. TERRA CEIA – According to local legend, he had to catch the Guerro children in a castnet. Famished and in a state of confusion, the children were roaming around the Terra Ceia wilderness completely disillusioned. Mumblings of an indiscernible language confused their captor, who wanted nothing more than to help the lost youths. But there were many questions unbeknown to the rescuer. Were the children stricken with yellow fever, did they speak English and how long had their mother’s body been rotting in the house? This heart-wrenching tale first started as a love story. Joe and Julia Atzeroth were a Bavarian couple that settled on Terra Ceia Island in 1843 after staying in New York and New Orleans for a short while. Julia is commonly known as “Madam Joe” because she often referred to her husband as “Mister Joe.” The two are considered Terra Ceia’s very first permanent settlers. On the island, they acquired 160 acres under the Armed Occupation Act and built a profitable farm. In 1851 they moved to Palmetto, opening the first store there while continuing their farming endeavors on the island and overseeing their cattle on the open range north and east of Palmetto. 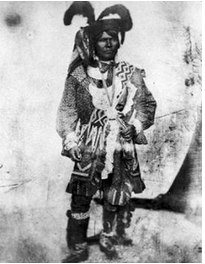 Mr. Joe fought in the Seminole Wars of the 1850s, and the Civil War of the 1860s, while Madam Joe attended to their home affairs. According to many texts, Madam Joe frequently wrote home to Germany asking relatives to visit and help her with her countless responsibilities. Frederica Kramer, a niece, came from Bavaria, Germany circa 1855 -1856 for a visit that would change the course of her life. During this period of time, fisherman populated the coastline along the Manatee River and the Gulf. Often housed in temporary fishing rancheros made of palm fronds, they would fish during the season and sell their catch in the Havana market. Miguel Guerro was a descendent from the Spanish Island of Minorca. (A colony of Minorcans immigrated to Florida during the British rule of the East Cost around 1767.) Like many before him, Miguel had founded his livelihood on the abundance of fish in the area and settled on Terra Ceia. It was love at first sight when Miguel and Frederica first met; the only means of communication was body language since she spoke only German and he only Spanish. They moved from his modest shed to a small home on the long shell mound facng a bay (Miguel Bay) which was named after the Guerro patriarch. Their family grew at a rapid pace. They had five children. Michael was born in 1857, followed by Fredrick, (born 1859) then Christopher (born June 1, 1864), Robert (1866) and finally Mary born in 1868. It has been said that the children spoke neither language fluently, but instead uttered sounds that were only understood by one another, in that way, the family was like Manatee County’s version of Nell. Sometime after the birth of Mary, yellow fever struck the family. The two eldest children, Michael and Fredrick died tragically at age 11 and nine. Miguel and Frederica buried their small bodies in the shell mound. Following the solemn service, Miguel had to leave on an extended fishing trip. When he returned, he found his wife dead; she was lying in bed next to her new baby. Miguel was not well himself. He too had been stricken with the fever. The two young boys were running around outside disoriented and hungry. They were confused; they didn’t understand why their mother wasn’t responding to them or where the two oldest children had gone. Miguel couldn’t communicate with them. The extended fishing trip had left him weak. He was too faint to bury Frederica, or take a rowboat to the mainland and get help. He laid down next to his beloved wife, waiting to join her in the afterlife. Asa Bishop, of Bishop’s Point in Palma Sola, eventually came sailing by. He was in a neighborly mood when he stopped in to discover the dire situation. He helped Miguel bury Frederica in the shell mound. According to an interview conducted by the Manatee County Historic Society, his son claimed he eventually caught the two boys in a castnet. He then loaded Miguel and the three children in his boat and carried them to his home. Miguel and the baby eventually died. Reverend Edmund Lee and his wife Electa of the Village of Manatee adopted Christopher, changing his name to Edmund Miguel Guerro Lee, or E.M. Lee as he was called. Mary and John Fogarty adopted Robert. Robert was renamed Robert Guerro Fogarty. Both children quickly learned to speak English in their new homes. After extensive searching as an adult, Robert Guerro Fogarty found his biological mother’s grave on a creek embankment near the original home. He moved her remains to Palmetto Cemetery. 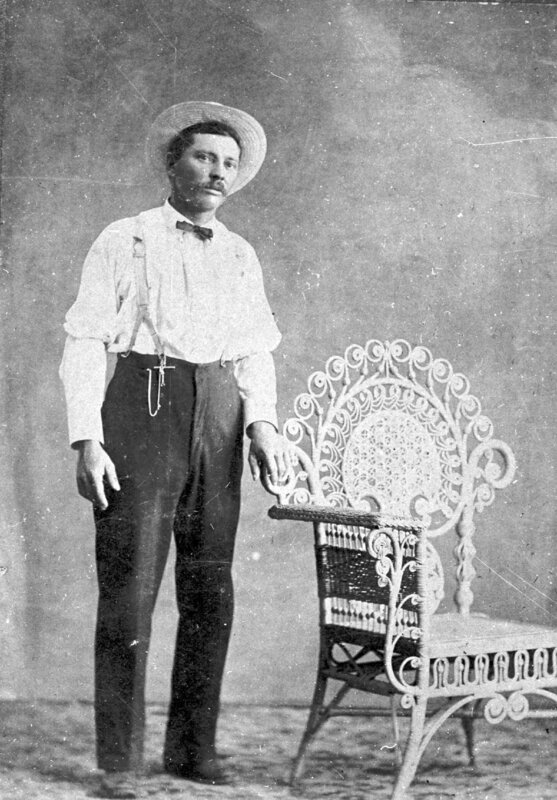 Edmund M. Lee lived with his adopted family until he returned to Terra Ceia in 1892 to claim his portion of the Guerro homestead. He was a farmer and considered to be an expert in the art of making castnets. He lived in the Terra Ceia/Rubonia area until his death in 1940. He is buried in the Gillett Cemetery. The Bradenton teams, the “B’s” and the “Fats and the Leans,” sent several players to the big leagues. BRADENTON – Perry Land knew how to make an entrance. He figured he’d make the greatest one he’d ever made before, being that it was the very first day of major league baseball in Bradenton, and seeing as how everyone in town held him responsible for the expensive venture totaling a whopping $2000!He was an aviator, among other things, and set out that fine spring morning in his biplane, crossing over the murky waters of the Manatee River and heading north to Tampa with the wind in his hair and a smile on his face. He headed west toward the coast into Clearwater. He found the perfect spot for landing. It was a stretch of clearing that just so happened to be a golf course. He promptly landed the plane on a par 5. Who cared about golf anyway? Today was a day for baseball! He punctually picked Baseball Commissioner Kenesay Mountain Landis. The flamboyant but incurious judge was staying at the Bellevue-Bitmore Hotel, which was his winter retreat. They put on their goggles and headgear; they were destined for the new baseball park, just east of present day McKechnie Field.A crowd of people cheered as the drone of the plane seemed to get closer and closer. The field had been partially completed in a joint venture with the St. Louis Cardinals and City of Bradenton. The grandstand sat 1,300 and 700 could easily occupy the bleachers, which included separate facilities for African-American fans. Together they cheered and laughed as the plane landed on the outfield. With the high-school band playing marshal music befitting the moment, the theatric Landis with his falling white hair whipping in the breeze, climbed out of the cockpit and strolled majestically toward the wooden grandstand amid cheers at the hundreds of spectators. It was the first day of major-league baseball in Manatee County in 1923. After WWI, the Manatee County Board of Trade decided that bringing major league baseball to Manatee County would surely stimulate the economy. Up until 1920, no team trained south of St. Petersburg. R. M. Beall, found of Beall’s Department Store, was a native of Moultrie Ga., and a staunch baseball fan. He was involved in baseball since the day he arrived in area in 1915. He was connected with several Bradenton teams that were in and out of the Florida State League several times before WWII. The Bradenton teams, the “B’s” and the “Fats and the Leans,” sent several players to the big leagues. The most notable being Henry Johnson, a native who became a pitcher for the New York Yankees, and complied a 63-59 lifetime record during his 14 years in the majors. Beall was bound and determined to bring the majors to Bradenton. Sam Braden was the owner of the St. Louis Cardinals at that time, but he also possessed a citrus grove ten miles up the Manatee River. Beall convinced him to move the Cardinals from their training facility in Orange Tex., to Bradenton. Since Braden was familiar with the climate, he agreed and soon Bradenton would be hosting its own games near McKechnie Field, which was the original site of the Manatee County Fair. In a joint venture between the Cardinals and the city, a new ballfield was constructed with a grandstand and bleachers for $2,000. The fairground buildings were converted into makeshift locker room. When the Cardinals got to see their new ballfield they discovered that second base was 14 inches lower than home plate, and the outfield was still two feet lower than second base. The Cardinals stayed at the Manavista Hotel on the river and walked to and from the ballpark because management thought it was good exercise. However, die-hard fans would often pick them up and give them a ride, just to shoot the breeze with their favorite sports star. 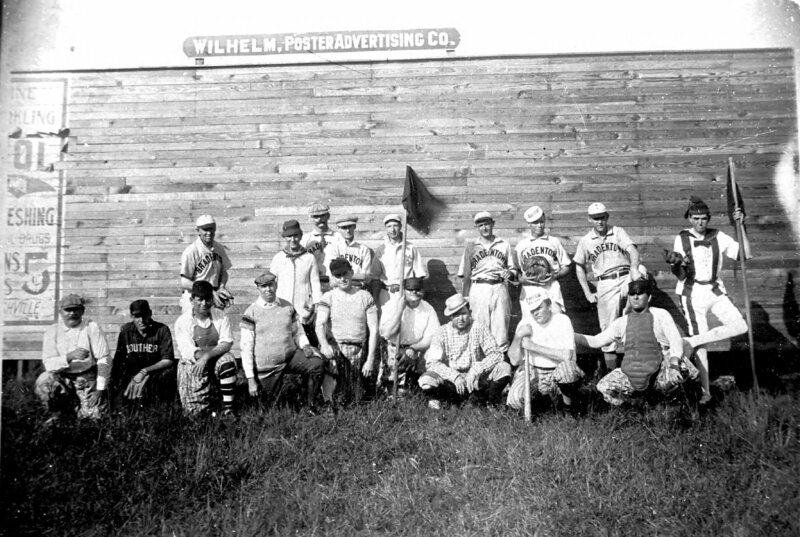 While Beall was working to bring professional baseball to Bradenton, H.W. Harry Peterson and the Palmetto Baseball Club sought financial assistance from the City of Palmetto to bring the either Milwaukee or the White Sox to the area. The city council gave them a $12, 000 bond for to buy a ten-acre tract of land on Snead Island Road, or 10th St. which is presently the site Palmetto Elementary. The minor league team, the Buffalo Bisons, signed a five-year contract to play at the Palmetto Ball Club in 1925. During the duration of their stay in Palmetto, they played more major-league teams than minor league teams. In 1925, the Philadelphia Phillies trained in Bradenton for three years. Then the Boston Red Socks called it home in the springtime. In the 1930s, the Cardinals returned during what journalists refer to as “the gas house gang era.” During that time they had a lot of great ball players including Paul Derringer and Bradenton’s favorite player Dizzy Dean. Jay Hanna “Dizzy” Dean was one of the most popular baseball characters of the area. When Dizzy Dean first signed to the Cardinals, he pitched a shutout end of the 1930 season and while all other ballplayers when home, he stayed in a St. Louis motel. He didn’t have a home, and found that all he had to do was sign his name and he could get anything he wanted. The only problem was that his procurements were building up a huge overhead for the team. After he started taking girls to department stores and buying them anything they wanted, Braden had enough. He sent Dizzy to Bradenton early for spring training. He was only given a dollar a day for his expenses – any more money was sure to get him in trouble. Dizzy was known for his practical jokes, pranks and sending the press on wild goose chases. Dizzy eventually retired to Bradenton where he and his brother ran a gas station. Those were the golden days of baseball. Famous people including Babe Ruth are rumored to have spent time in Manatee County, but in 1937 the Cardinals moved to Daytona Beach and Bradenton was without a major league club for a year. In 1938, the Boston Braves came to Bradenton for a three-year stint, but after they moved to San Antonio Tex., no other teams played for seven years. Eventually the Braves moved from Boston to Milwaukee, and returned to Bradenton in 1948 through 1962. They won three pennants while they trained there– 1948, 1957 and 1958. They were world champions in 1957. It was during this time when Bradenton became the first club to bring allow an African American baseball player — Sam Jethroe of the Boston Braves. This was a major breakthrough because had Florida not allowed him to join, the state would have lost all of its baseball clubs. PALMETTO– The 1990 white Toyota pick-up plows past a road barricade into a field of tall grass and continues slowly down a dirt trail. The brake lights glow as it rounds a corner near a lowland swamp and comes to a halt. Jake gets out and opens up the tailgate decorated with pencil drawings of different varieties of arrowheads. There is a WWJD sticker on the topper, but under the J, “AKE” is spelled out vertically in permanent marker. Jake pulls out four shovels, one is a much smaller than the others. Tonight his 3.5-year-old son, Jacob, is digging with him. He starts a hole for Jacob then explains to the two newcomers how one goes about finding the sought-after artifacts. You have to gently scrape small amounts of dirt from the sides of a hole then use the shovelhead to slice through the loose soil at the bottom. He says the slices have to be thin; otherwise, you could miss the tiny relic. The trick is to angle the shovel just as you would a chopping knife, almost rocking it as you cut through the fine dirt, listening for that sweet clank of metal hitting something hard. Some people even sift the dirt through screen after they’ve sliced through it with the shovel, not taking any chances at overlooking a fine piece. Once it is thoroughly inspected, you throw it out of the hole. “You have to always keep your hole clean,” Jake says. “Why don’t you talk about the arrowhead you found, Jacob?” Jake asks the boy. Then he says, “I planted it in his hole, but you should’ve seen the look on his face.” Even without any miraculous discovery, the boy seems perfectly content just being out on the grassland caused by a developer’s collapse. If housing had gone up here, ancient remains would be lost under the concrete foundations of houses that mirror one another. Tonight, as the last rays of sun disappear over the horizon, the landscape resembles its untamed condition. The curbs and utility meters are hidden by over growth and one can sense the similarity of what it was when it was inhabited by the ancient aborigines. Early man crossed the Bering Strait between Asia and Alaska in pursuit of the large mammals that were their primary food source. Around 40,000 to 20,000 B.C., they traveled south into Central and South America as well as the eastern U.S. and Florida. At that time, Florida was larger, the temperature was cooler and there was less humidity. When the Ice Age ended, melting water covered much of the lowland. The mammals died off and people migrated to coastal areas where they depended on seafood as their main sustenance. In the middle archaic period from 8,000 to 1,000 B.C., natives began to build small villages around these coastal areas, making pottery for cooking. There is evidence that these communities traded with others as far away as Mississippi and Alabama because of the types of material used. They journeyed on foot or by canoe. Using fossilized coral they had found in swamps, they heated the material in the fire creating a translucent color then chipped the material into the shape of an arrowhead. The iridescent result is called a Newnan point, which is extraordinarily sought after in the artifact world – sometimes valued at several thousand dollars. This is the point that Jake is after – it’s his holy grail. Jake isn’t sure how old he was when he started collecting artifacts, but growing up near Rye Bridge, there was no shortage. While scuba diving in the upper Manatee River, he once found a whole set of Mastodon teeth, but Jake isn’t really after fossils – he holds a fossil permit as a reason “to be in the water” excavating finds. In the State of Florida, it is illegal to disturb artifacts on state land or in waterways. When Jake thinks he’s on to something, he’ll use certain “techniques” to deter others. Sometimes, he’ll put shoe polish inside his old wet underwear and leave it in a tree, so people steer clear of the site. To clarify, Jake isn’t digging in state preservation or conservation areas – those areas are protected and he respects their historical and environmental significance. He only takes his son to safe places, now that he won’t stay right beside him. When Jacob was around one year old, Jake would travel to sites hauling Jacob, a car seat and the diaper bag. After a single encounter with three copperhead snakes, Jake is more apprehensive about bringing the small boy. He would never put him in danger by going to high-risk locations – ones where he has to worry about farmers running him off, or chasing him with cars. It is easy to see why farmers become upset. When word gets out about a “hot spot” harboring many treasures, diggers can cause a lot of destruction on private property. Even being near these spots can be risky – especially during the day. Jake prefers to travel there by car, someone else at the wheel while he sits shotgun with his shovel between his legs, When he spots the perfect opportunity, his cohort will pull off the road on to the shoulder, and come to an incomplete stop while Jake jumps out the door and slips safely into a ditch covered with palmettos. Wearing full camouflage, he quickly disappears into the brush while his friend drives off as if nothing happened. On the other side of a barbed wire fence, the shrubbery opens up into a prairie. Like an anxious deer, he is careful not to reveal himself too quickly. Once the coast is clear, he starts hiking toward a wooded hammock signifying lowland. As he nears the destination, massive depressions are visible as far as the eye can see, sometimes six-feet wide. The area looks like a warzone, but no major battle took place here – at least not in modern times. “This is what happens when you start telling a bunch of people where your spots are,” says Jake, as he shakes his head. He finds a shady spot out of the sun and starts to dig. This time, he won’t worry about covering his holes back up, since there is so much devastation. This is not the scene of a warzone. When amateur archaeologists find “hotspots” something as simple as word of mouth can cause mass destruction. On nights when the moon is full, he’ll have his girlfriend drop him off in a secluded area. His sites are determined by several environmental factors that the natives would have depended on for survival. Hickory, huckleberry, a natural spring or water tributary are all telltale signs of an aborigine camp. Jake loves to dig by himself at night. He’ll set his gear to the side, start to dig and continue on for hours. After the recession is dugout and he gets too tired to go on, he’ll curl up and sleep in the hole – waiting until morning to call for a pick-up. One night, as he dug in the dark he heard footsteps coming toward him. He instinctively ducked into the near brush, paralyzed with fear. Then he heard the familiar sound of shovels clanking from the movement of a hiker. His fear quickly transitioned to excitement. He jumped from his hiding place and exclaimed, “I’m a digger too!” The other man, named Tim, almost had a heart attack. Since their chance encounter, the two have bonded, becoming protégé and mentor. Tim is older with a much more extensive collection than the one Jake has, but Tim also shares with Jake coveted secrets of the trade. Tim talks to spirits as he digs, bartering tobacco to the Earth, so she will reveal a unique piece of history. He turns down any attempt to publicize his hobby. When Jake told him of his media opportunity, Tim refused to answer his calls. But there is a valid reason for his secrecy. It is illegal to dig for artifacts on state-owned and controlled lands, including all waterways. Almost all sites are near or in water. Digging for artifacts on state lands is a third-degree felony. Florida Statute 267.12-13, leaves it up to the state to determine who can qualify to obtain the permit – but most of the time, permit-holders must be accredited professionals with a master’s degree in archeology. People like Jake and Tim, with decades of experience — aren’t eligible. Officials can confiscate entire collections if someone is reported and caught. The law, which is designed to protect important sites, doesn’t mention that for the last 100 years the state has been removing shell from Native-American mounds for all its major roadways. There are three types of mounds built by the original tribes in Florida, each one signifying a different period of civilization. The rubbish mounds were created from 8,000 B.C. to 1,000 B.C when humans first started creating pottery for cooking. Burial mounds were constructed from 1000 B.C. to 700 B.C. when heads of tribes began to rule. Instead of burying the bodies of the important chiefs, natives began to cover their remains with sand creating small knolls of dead. From A.D. 700 to A.D. 1700, the first temple mounds were erected. They were 20 to 30 feet in height and served as ceremonial locations as well as observation points. Most of this history is disturbed and serving as the base of state roads 301 and 41. This mastodon tooth was found in the Upper Manatee River. What is really puzzling is that collecting fossils in state waterways is legal. People who find artifacts – the non-living remains that tell the history of now extinct Native-American tribes, are told by officials to leave them where they lie, or take a picture and inform the Bureau of Archaeological Research. The amateur archaeologist, someone like Jake who did all the work to find the relic, doesn’t get any compensation for the hours he put into digging for the piece. The result is a vicious cycle. Diggers live in fear of being discovered, significant sites go unfound and essential collections are kept in living rooms and basements instead of museums. Jake’s friend recently found a shell carving of a conquistador behind the Crab Trap Restaurant at Terra Ceia. This rare find alone could help to determine the exact location of Hernando de Soto’s arrival in Florida, since his landing place has never been proven. His historical trail up the west coast and into Mississippi was mapped in 1939 by the government-appointed Swanton Commission, but historians have criticized their projected path for years as inaccurate. Mike, a publisher of a statewide magazine, is searching for the link to solve the problem. He travels to archaeology shows all over the country in order to gain an understanding of a better way for amateurs and archeologists to work together. Mike is currently conducting video interviews with “old timers”, people in their upper 80’s who don’t care about going public because they aren’t digging anymore. Until he has enough information collected, even he won’t reveal his identity to the world. Losing a life’s work is not yet worth the risk. Amateurs like Jake will continue to build their collection regardless of how the government feels about it. While looking for possible sites, he and his boy hike to an unusual hill formation in a clearing. The rise isn’t natural, it’s man made – dirt piled up from the emergency spillway below in case the Manatee River dam overflows. Still, it feels as if they’re standing on an ancient temple mound, looking over the vastness of the countryside. They hear a distinct cry and look up just in time to see a hawk gliding above. Jake’s son tugs at his sleeve and points. Just then Jake’s cell rings and he smiles. “Well wouldn’t you know, Tim is callin’ me just as the hawk flies over head,” he says happily, eager to speak to his estranged friend. The sources in this story did not want their full identities revealed because they are fearful of being reported to state officials. Tim’s name was changed completely to protect his identity.